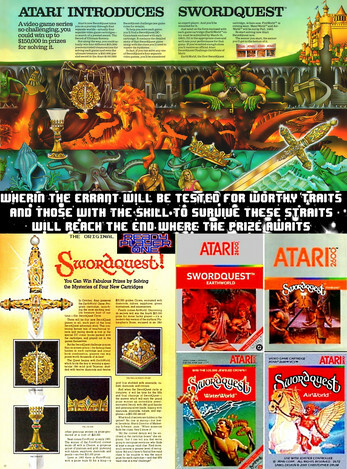 Atari planned four interrelated Swordquest games, one each based on earth, fire, water, and air. The company intended that playing all four games would be necessary to win the final prize. Each had essentially the same gameplay: Logic puzzle adventure style gaming interspersed with arcade style action gaming. The character wanders through each screen, picking up and dropping items, playing simplified variants of then-current "twitch" games between screens. 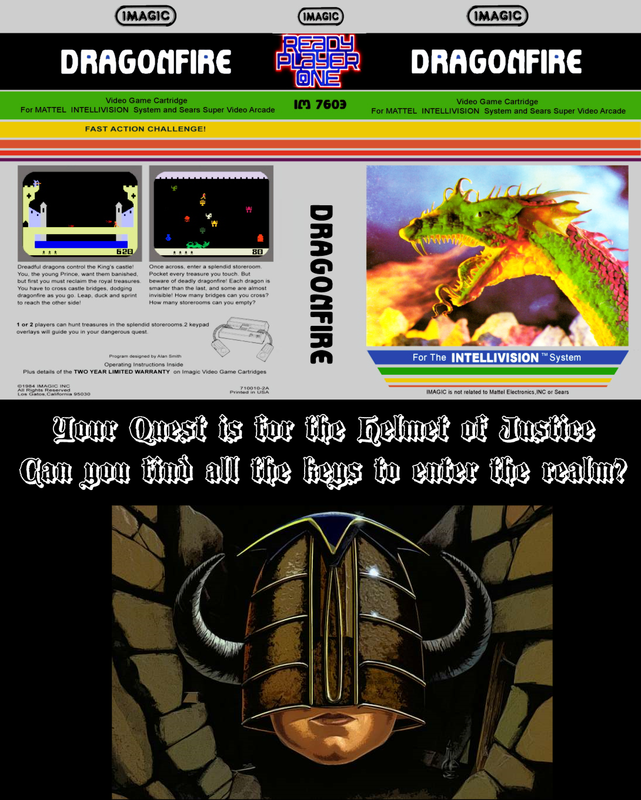 If the correct items are placed in a room, a clue shows up, pointing the player to a page and panel in the comic book included with the game. There, the player would find a word that was hidden in that panel. If the player found all five, or in the case of Waterworld, four, correct clues, amongst all the hidden words (hinted at by a hidden clue in the comic), they could send the sentence to Atari and have a chance to compete in the finals and win a prize. During the playoff, which ran on special versions of the games, the person who managed to find the most clues within 90 minutes would be considered the winner. The winners of the four game contests would go on to a final competition where they would compete for a sword valued at $50,000. However, only two of the competitions fully took place before Atari cancelled the contest entirely in 1983. The games follow twins named Tarra and Torr. Their parents were slain by King Tyrannus's guards, prompted by a prophecy by the king's wizard Konjuro that the twins would slay Tyrannus. The twins were then raised as commoners by thieves to avoid being slain by the king. When they go to plunder Konjuro's sea keep, they accidentally reveal their identities to him. The twins then start running from a demon summoned to kill them, but it appears that a jewel they stole attracts it. After smashing the stone to avoid the demon, two of Tyrannus's old advisers appear and tell the two about the "Sword of Ultimate Sorcery" and the "Talisman of Penultimate Truth." They are then transported to Earthworld. After defeating many beasts of the Zodiac and another thief (Herminus) in Earthworld, the twins are transported to the "central chamber" where the "Sword of Ultimate Sorcery" and the "Talisman of Penultimate Truth" are kept. Upon reaching them, the sword burns a hole through its altar all the way to Fireworld. In Fireworld, the twins split up to look for water, and Torr, with the aid of the talisman, summons Mentorr who shows Torr the "Chalice of Light," which will quench his thirst. The twins reunite eventually and find the chalice. However, Torr drops it after he is startled, and it is revealed that the one they found was not the true chalice. Herminus then gives them the chalice, and it grows until it becomes large enough to swallow the twins and transports them to Waterworld. Upon reaching Waterworld, the twins become separated. Tara travels to a ship made of ice, somehow forgets her name, and meets Cap'n Frost, who desires to find the "Crown of Life" and rule Waterworld. Meanwhile, Torr travels to an undersea kingdom, forgets his name as well and meets the city's ex-queen Aquana, who desires to find the "Crown of Life" in order to regain her throne. After a brief war between the ex-queen and captain, Herminus sets the twins to duel each other. They then pray to their deities for guidance, which summons Mentorr who allows them to regain their memories. The twins throw down their swords, causing the crown to be revealed and split in half. The halves are given to the ex-queen and the captain, who then rule as equals. The "Sword of Ultimate Sorcery" then transports the twins to Airworld where they would have to do battle with King Tyrannus and Konjuro. Airworld was never finished, though two prototypes are widely rumored to exist. Earthworld was the first of the four games. Its room structure was based on the signs of the zodiac. 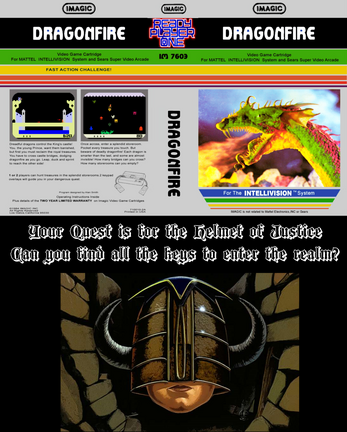 While the basic creative direction of the game was provided by Swordquest Lead Tod Frye, the game was coded by Dan Hitchens. Sounds from Swordquest: Earthworld were used in the 2002 film Solaris directed by Steven Soderbergh and starring George Clooney. The sounds are used to represent the spaceship breaking up. Out of 5,000 entries, only eight people managed to find all five of the correct clues. Of those eight, Steven Bell, who was 20 and lived near Detroit at the time, took first place and won the "Talisman of Penultimate Truth." The talisman was made of 18K solid gold, with 12 diamonds and the birthstones of the twelve Zodiac signs embedded in it, as well as a small sword made of white gold attached to the front. At the time of the contest, the Talisman was valued at $25,000. Bell melted down the Talisman to pay the taxes, but kept the baubles and the sword as keepsakes. Unfortunately the sword was stolen. Fireworld's room structure was based on the tree of life. 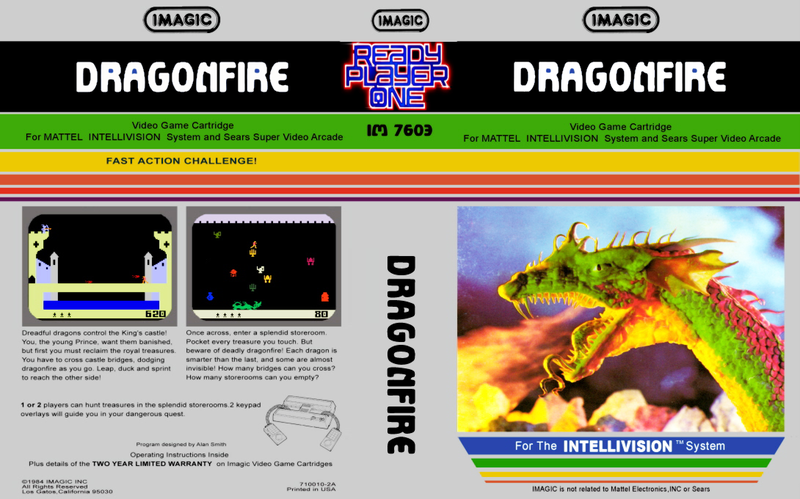 As there were more than the 50 planned participants, a much larger turnout than the previous contest, they held a second preliminary round where the contestants were told to write what they liked about the game. 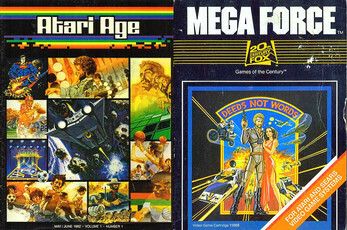 From there, Atari chose fifty of the entries to continue on. The Chalice of Light was won by Michael Rideout. The chalice itself was made of gold and platinum and was adorned with citrines, diamonds, green jade, pearls, rubies, and sapphires. Like the Talisman of Penultimate Truth, the Chalice of Light had a value of $25,000. In a 2005 interview, Rideout stated he was still in possession of the chalice which is kept in a safety deposit box. The room structure of Waterworld was based on the seven centers of chakra. 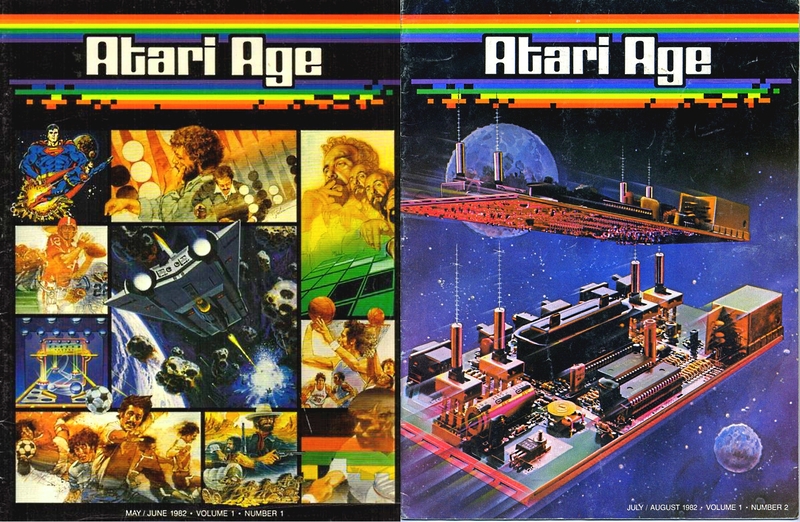 It was originally released only through the Atari Club. The winner of this contest was supposed to receive the "Crown of Life," which was made of gold and encrusted with aquamarines, diamonds, green tourmalines, rubies, and sapphires. It was valued at $25,000 when the game came out. The overall contest (including the one for the yet-to-be released Airworld) was cancelled at the last minute due in part to Atari's financial troubles during the video game crash occurring around this time. Two preliminary rounds had been conducted prior to this, with the winners of those rounds receiving $2,000. Steven Bell and Michael Rideout, the winners of the Earthworld and Fireworld competitions, received $15,000, as they could not advance to the final competition between the winners of all four contests. 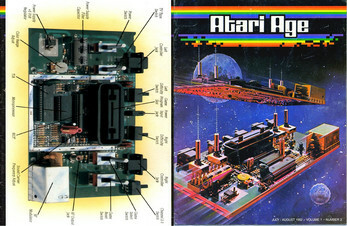 According to Atari historian Curt Vendel, “Under contract, Warner [Communications] was obligated to complete the contest for Waterworld, because players had submitted correct answers, and the game was sold to the public based on the fact that whomever solves the puzzle in the game would be awarded a prize. They held a very quiet, non-public contest with the 10 people who solved the Waterworld contest. The crown was awarded to the third prize winner.” While there is no hard evidence of this contest, Vendel says the contest had to take place by law. The game was never released, although two prototypes were rumored to exist. According to programmer Tod Frye, Airworld's room structure was going to be based upon the I Ching. Additionally, Tod Frye was planning on representing each room from 1 to 64 with a six-bit number. Each bit would control a different aspect of the rules for that room (e.g., whether the player had to avoid or capture the enemies, whether the enemies attacked or avoided the player, whether the player or the enemies moved fast or slow) but this concept never got out of the design phase, and yielded some unplayable combinations, such as a slow player that had to capture fast moving enemies that avoided the player. The winner of the Airworld contest was to receive a Philosopher's Stone, a large piece of white jade encased in an 18 karat gold box encrusted with diamonds, emeralds, citrines, and rubies, that like its counterparts was valued at $25,000. That player was also scheduled to face off against Bell, Rideout, and whoever won the Waterworld contest for the grand prize, a sword with a gold handle encrusted with jewels and a blade made of pure silver. The sword, called the "Sword of Ultimate Sorcery", was valued at $50,000. As noted above, Michael Rideout has said that he is still in possession of the chalice he won in the Fireworld competition. In 2005, he sent pictures to the gaming website Digital Press, which posted them along with an interview he gave to the website Atari Headquarters in 1999. In the course of the interview, Rideout mentioned he had heard the medallion won by Steven Bell was melted down by a coin dealer for scrap after Bell sold it for $15,000; he kept the baubles that were part of it, but the white gold sword was stolen. Years after the contest, the remaining three prizes (the crown, philosopher's stone, and sword) were assumed to have been in the possession of Jack Tramiel, the founder of Commodore International, who purchased the remnants of Atari after the video game crash and his ouster from Commodore. 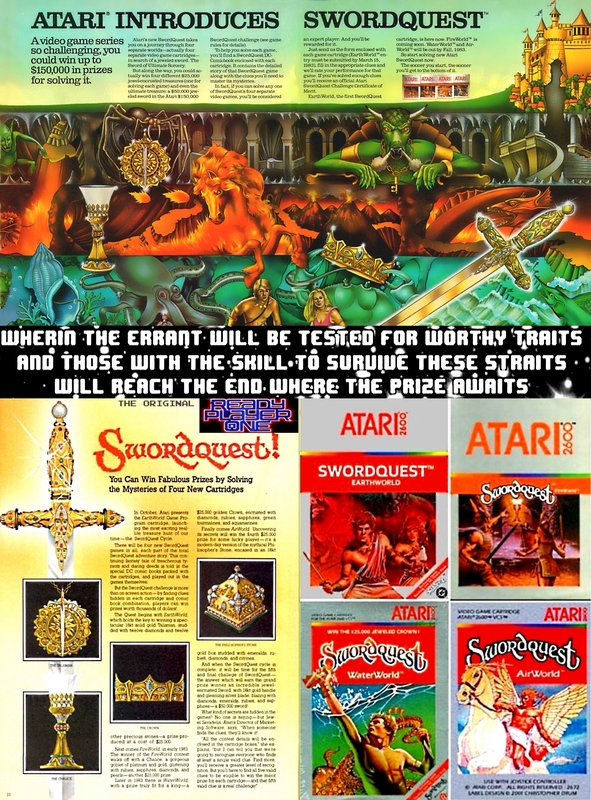 However, Atari historian Curt Vendel has said the remaining prizes, which were owned by The Franklin Mint and on loan to Atari for the Swordquest contests, were not part of the sale of Atari's consumer division to Tramiel, and ownership of the remaining prizes reverted to The Franklin Mint, which recycled them into other items. 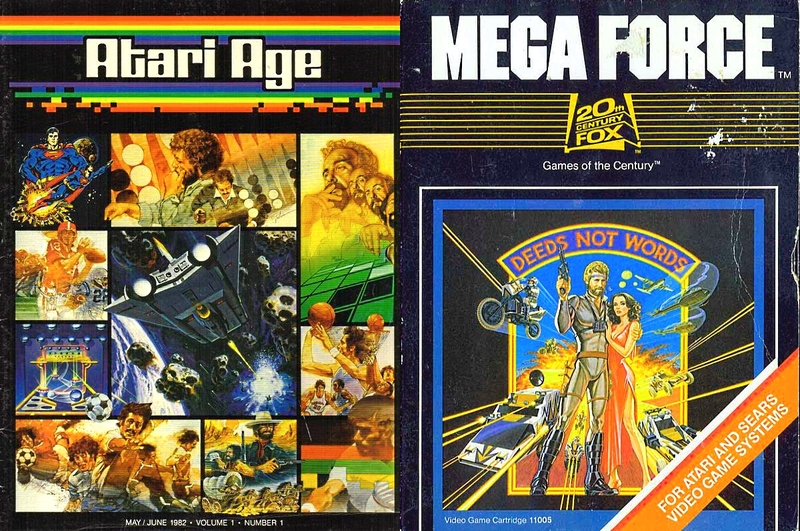 Each of the three released games shipped with a comic book, published jointly by Atari and DC Comics. The books included clues to solve the puzzles within each of the games.